According to the Merriam-Webster dictionary, the word “testimony” means, among other things, “a firsthand authentication of a fact; an outward sign…” What I am putting down here today is my story of how I experienced firsthand the forgiveness and the redeeming and transforming power of the God of Abraham, of Isaac, and of Jacob. My changed life is a fact that cannot be denied, so I am, myself, an outward sign–the Lord’s own testimony of His mercy and grace bestowed on the most unlikely of people. It is because of who I once was that I firmly believe there is no one outside His power to save. To keep this to a readable length and because this is a public forum, I will skip many of the morbid details of my pre-Christ life and focus instead on how He drew me out of them. Perhaps, someday, over a cup of hot tea or coffee, I will tell you more if you are interested, though it doesn’t really matter. That person is dead and gone and I do not like to look back on her much. For now, suffice to say that I came from a broken home; had a crippling emotional imbecility that belied my supposed high IQ; made several poor choices as a young adult including premarital relationships (one with a much older man), alcohol, and occasionally drugs; was always looking for someone to love me but rejecting anyone I found attractive; and allowed my self-imposed guilt to bring me to another city to help a guy with cancer and his mother. It was at this time at the age of 26, emotionally and physically exhausted, wretched beyond belief, and beginning to weigh either suicide or life as a transient as possible options (both of which were more honestly a desire to flee the mess I’d made of my life)–when I met the man who would become my husband. To kick things off, I slammed a door in his face. But he was persistent. He offered a night’s sleep on his couch and I, worn out beyond belief, eventually gave in. We were, neither of us, chaste individuals and it was not the couch I slept in that night. We began to “hang out” as the vernacular of the time put it. Just at the time when I had known him for about a month and was convinced that I needed to get away from him, I discovered that I was pregnant. We barely knew each other. I was mortified and considered ending my life, but I never could work up the nerve. My man knew what to do, however. He moved me (by himself) into his apartment. We decided that once the baby came, I would stay home, but until then I worked and tried to pay off my car and anything else I could. It was then, with this new life growing inside me, that I began to understand that love was not something one seeks and pursues. Love is something one gives. I was crushed by the many missed opportunities to show love to my two sisters, one of which is 13 years my junior and the other who had her own babies when she was hardly more than a babe herself. I did not know it yet, but it was my first real revelation from God, preparing me to understand Himself. Incidentally, long before this time back in my drinking days, a bar buddy once asked me a funny question. He asked what I thought God was like, and I told him. Then he asked, “But isn’t that just a little too convenient for God to be what we would like him to be?” That question haunted me for years. Over time, I found I was no longer demanding that He reveal Himself, but I was questioning Him: “Why would you do this, God? Why would you treat these people so, these nations You destroyed?” I wasn’t aware at the time, but I had crossed the line from unbelief to belief. I recall , a little later, speeding through the minor prophets (not that I knew that term at the time) because I simply could not wait to find out about the Messiah I had been reading hints about all over the Old Testament. By the time I reached the story of the man whose son was possessed of a demon in Mark 9, I had shed many tears, learned the answer to many of my “whys,” and begun to feel a genuine love and longing for this mighty God who would send His own firstborn Son to die in my place–me, who had lived such an utterly disgraceful life. Then I read Mark 9:24 “I do believe! Help my unbelief!” In that man’s plea, I recognized my own first prayer. I also wanted to believe, but at first I couldn’t. And He had answered. He had made me believe. That was the beginning of my walk with God. I had a lot of growing to do, a lot of refining to endure, a great amount of dying to myself to allow. It took me some time from those first moments of budding belief until I could understand that Christ’s death paid for even my heinous sins, too. I was so full of shame and despair that I at first thought my unworthiness was too great. It wasn’t until I learned, through a series of Scriptures, sermons, and whispers from the Spirit, that it was rather arrogant for me to believe that I was the one human who was beyond my God’s reach. I was able to repent of my twisted pride and accept His gift. There is so much more. Perhaps in eternity we will be able to share all the details with each other. Perhaps then, without the weight of the sin curse always dragging on our bodies and minds, we can remember in vivid detail every event that displayed God’s glory in our lives and we can marvel at His grace and beauty together. For now, know that He is truly good and worthy of any sacrifice. The joy of knowing Him surpasses the fleeting pleasure of anything this old ball of rock has to offer. If you already know Him, I would love to hear how He first called you! What a beautiful, redeeming story. Thanks for sharing, Heather! Heather you wrote, ” I was able to repent of my twisted pride and accept His gift.” Ah! the salvation experience. The spiritual birthday of a born again believer. Mine was on January 9th 2005, and it was instantaneous. Though I struggle, I know I am blood bought with a price. I witness to strangers by the grace of God, and serve as the doors open. The biggest obstacle is my family, I have a hard time relating to them when it comes to the things of God. Nevertheless, I pray for them and leave it in God’s hand. I would be grateful if you would pray for the salvation of two my daughters and my 4 grandchildren. 1 Jn. 5:13- These things have I written unto you that believe on the name of the Son of God; that ye may know that ye have eternal life, and that ye may believe on the name of the Son of God. I will absolutely pray for your girls and their families to come to saving faith in our Lord. May His word speed ahead and be honored (2 Thess. 3:1). I have been praying intensely for revival and I would love to see many of our unsaved family and friends coming to that Godly sorrow which brings repentance and leads to salvation without regret, and I pray that their names will be included in this great awakening. I was led to your blog from reading you and Joel talk about homeschooling on one of his posts. Thank you for sharing how Christ became resurrected in you; I too have walked a similar wretched path (no path, really) and wrote of my definitive life-altering day on my blog, titled ‘A Conversion’, but as you say, renewal and sanctification is a process, a live force! Very recently God has been leading me and my husband to start to pray about homeschooling, a quite shocking turn but that is what I love about being a vessel for the Holy Spirit, nothing is ever predictable. I wonder about your siblings. Since loving Christ, how has your relationship with them changed? God bless you, Sister! So true — Nothing with Him is predictable! If it were, we could follow a formula or a path instead of the Good Shepherd. If He does lead you to homeschool, feel free to ask me anything. I did it from my son’s kindergarten year all the way through 9th grade. This year (10th grade) he is attending a private school along with our middle one. The youngest is still being homeschooled. But of course, God will lead you through it if He leads you to it. As for my relationship with my sisters, since loving Christ I have more compassion for them than I did. I was a pretty self-centered young person, and I regret many wasted years where I could have poured into my 13 years younger baby sister. However, the sister who is only 2 years younger found Christ before I did. Now my youngest sister is in Him, too, and in many ways our relationships have been even better since. It was my parents with whom I had the more shaky relationship, but God has literally transformed my thinking about them so many years ago that I no longer can even call up the anger I once felt towards them. I have forgiveness and compassion where I once had bitterness and anger. There are still conflicts from time to time, of course, but just having a heavenly Father to talk to (and who disciplines me when it is my attitude out of line!) has changed my extended family dynamic in wonderful ways. He can do so many things with anyone who has been on a ‘wretched path’! The brokenness within us is, more often than not, a gift through which we hear His voice louder and clearer than we would have otherwise. You have a powerful testimony!! So, so true! I have even been able to be genuinely thankful to Him for some of the pain in my life, whether physical or emotional, just because it always drives me closer to Him. He is so, so amazing! What a wonderful story of how God pursues us even when we don’t know he is! His love is unfathomable – blows me away every time I hear stories of hope, healing and redemption! (I’ve experienced those too and suppose that is why I write about them.) I’m so glad you spotted my comment on Jonathan Camac’s blog and liked it so I could find yours. It was great to read your story! I’m glad I spotted them, too! Looking forward to reading some of your stories. 🙂 I will say it’s good for me to remember how unlikely my own redemption was, because it helps me remember that no one is out of the reach of our great God! So true! While my story isn’t exactly the same, I can relate to much of it. He is good. That’s for sure. Bless you as you reach out in Him and His light to your family. Wow, thanks! So true. All I have to offer Him is obedience, really, and even the ability to obey comes from Him. Thank you for your encouragement! What a wonderful, redeeming testimony! And kudos to your husband, that didn’t love you and leave you! Aw, Mitch! I am honored. Thank you. 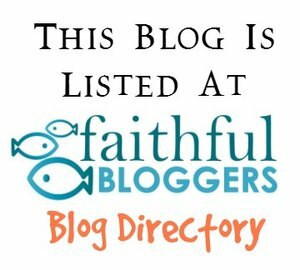 I will follow the rules, in part because I have some wonderful new bloggers I’ve met and would love to share with others! Thank you for sharing your testimony. It has truly blessed my heart today. I too, came from a rather dysfunctional family background, but was truly saved, born-again, and given a new heart and morals in my early twenties. I have been following the Lord Jesus Christ and reading His Word for over 30 years now and am still so very grateful that God had mercy and love towards me. He is a wonderful Saviour, strong and mighty to deliver us from sin, confusion and evil. Praise His name. He truly is wonderful! Sorry for my delayed response – I have been out of town. Thanks for stopping by and praise Him for rescuing and redeeming us both! I enjoyed reading your story. Mine is much the same. I am looking forward to sharing when we meet in September. Our lives are so similar. I am a recovered alcoholic and drug addict and my life during those days was filled with immorality, bitterness, slander, deceit… Everything in Romans 1:24-32. My life was filled with shame and self-hatred. I walked in complete darkness. In 1989 someone introduced me to Jesus, and we studied the Scriptures and I became a Disciple of Christ. In 2013 I fainted in my kitchen and woke up paralyzed from the shoulders down. I am truly grateful for this wheelchair and my quadriplegia. I believe God is saving my soul. Since this happened, I’ve had to dig my heels in to understand what the Bible says about suffering and perseverance. It’s been a struggle but I believe my life circumstances are making me more holy. God is refining me and giving me pure joy. Thank you for your blog and your humility and wisdom. I look forward to reading more! Wow. I remember reading your blog about how you became a quadriplegic, but I don’t recall the rest. It’s amazing to me that when I was in the misery of those days, somehow I told myself I was having fun. Even though I cried often and hated myself, I kept myself in that deceit for years. It took God to break through. I am with you – my chronic migraine has brought me closer to God and more joy than I’ve ever known. One of those amazing paradoxes of loving and serving the Almighty God! Thanks tons for stopping by!